According to John Woods, director of International Sales, Thailand is the third-fastest growing market for the company's barter efforts, behind only Lebanon and Australia. Bartercard aims to have between 25 and 30 sub-franchise offices in Thailand within five years, as part of its ambitious global expansion. Over the next six months Bartercard also expects to expand its franchises into Singapore, India, South Korea, Turkey, and China. Within a year, Woods reported, the company will be operating in the United States and achieve a listing on NASDAQ. United Airlines has reported that marketing revenue from their Mileage Plus program was $114 million in the second quarter, up 17% from a year earlier. That means that the Mileage Plus program, over the year at this rate, will come in at almost half-a-billion dollars! The Mileage Plus program sells "airline miles" to partners such as credit-card issuers, hotels, car rentals, telecommunications, shopping and financial-services companies, which in turn use the miles as sales incentives. Venture capitalists are getting in the philanthropy game with a new tactic: Having their incubating companies set aside pre-IPO stock for charitable contributions. Kicking off the trend was eBay Inc., donating 107,000 shares of pre-IPO stock to Community Foundation, which has a policy of liquidating its stock gifts as soon as possible. They began selling the eBay stake when its value had risen to $40 million. "Donor-advised funds" are another option that philanthropies are using to lure young potential patrons, especially those wary of commitments to a single group or undecided about where their gift should go. Such funds enable an individual to contribute to a philanthropy in a given year, and take the allowable tax deduction, but reserves the right to stipulate at a future date where all or part of the donation goes. Everyone has heard of Napster, but there is another music site that's played by the rules and is building its business without the flagrant copyright violations that have landed so many internet music ventures in hot water. For seven years, the Santa Monica company has used technology--first CD-ROMs and then the Internet--to introduce music fans to new artists. Launch now has a music library with more than 120,000 songs, and has attracted a user base of 4.3 million. Playing a prominent role in the company's revenues is the syndication of music news and concert tour information to radio stations and web sites, and is Launch's second-biggest source of revenue amounting to $5.4 million last year. Most of that comes from sales to advertisers of radio air time, which Launch receives when bartering music and entertainment news. Launch has also spent its currency, about $10 million in stock, over the last two years to acquire companies with substantial music video libraries. A company out of Utah contacted BarterNews with its plans to offer Web Trade Auctions, i.e. a "Zander Board" arrangement on the Internet. The organization plans to charge a 10% commission (matching fee) on the personal property, and a 6% fee on real estate moved. BarterNet Corporation announced the addition of the first European trade exchanges to join its rapidly growing global network of barter companies. Euro Barter Business of Baden Baden, Germany, and RES Barter System of Brussels are set to merge with BarterNet at a later date. Belgium's RES Barter System, with nearly 2,700 clients, was founded in 1995 under the leadership of Walther Smets, CEO. President Reiner Husemann of Euro Barter Business began in 1990 and has since forged relationships with barter exchanges throughout Europe, North and South America, and the Middle East. EBB has 650 clients, mostly larger corporations. Eric Jeck, CEO of BarterNet, says their entry into Europe is significant. "Europe is a large, complementary market with millions of businesses. 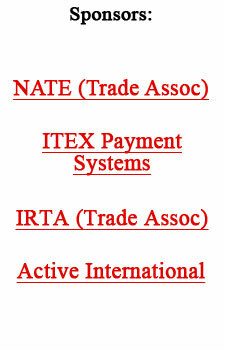 Our European affiliates will facilitate the expansion of global trade among our 27 affiliated exchanges." On November 6th over 4,000 trade exchange members and business owners will converge on the largest barter exposition in New England, conducted by Barter Business Unlimited. The location is the Connecticut Expo Center, 265 Moody Overpass, Hartford, CT. The city's own online radio station, CyberstationUSA, will be broadcasting live from the Expo Center throughout the Barter Expo & Business Opportunities Show. BXI, the oldest U.S. trade exchange in existence, started by Mac McConnell back in 1960, celebrated its 40th birthday with a national convention in Atlanta this past weekend. The 4-day affair was attended by area directors from around the country, and will be reported on in the January edition of BarterNews. Royal Dutch/Shell Group and USX-Marathon Group said they plan to barter oil fields in a deal that will give Shell a majority stake in Russia's huge Sakhalin 2 oil field.